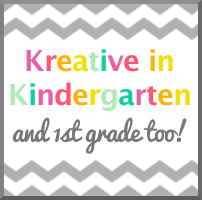 Kreative in Kindergarten: Plan With Me Sundays- Erin Condren Giveaway! It’s Plan With Me Sunday time!! This week is all about Back to School! It is coming very soon for me and I know many others that will be starting in the coming weeks. I am actually planning for the first week of August because that is when preplanning starts for me. I found some free stickers from here to add to the stickers I made. I made these with the intention of using them throughout the year for those BIG moments during the year. Feel free to download!! Just copy to sticker paper, cut, and get organized in that planner! So now on to the planning! This week I am using the free stickers, Meet the Teacher sticker that I made, a letter washi (Dollar Tree), Skinny Washi (Michael’s), and pens. Here is a close up of the stickers. I JUST love the colors and the reminder that it is still SUMMER! I started as I always do, covering up the words at the bottom with white out. I do this so they do not show through the washi. If you have a new EC Planner then the words are now gone! I laid the stickers on top to see where I wanted them placed. Here is the finished layout! I decided to cover the morning, day, night headings with the skinny washi. I love it! I did leave everything blank since this over a week away. We have not received a schedule for preplanning, so I will be filling it in later. One more calendar that I use daily is my family calendar. We have this in our kitchen and it covers appointments, birthday parties, sports/after school activities, etc. I used a frame, paint chip swatches, and a dry erase marker. 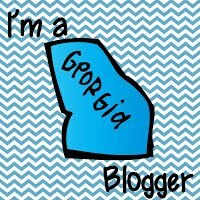 I made this waaay back in 2012 and showed how to make it on my personal blog. You can check it out here if you are interested! I hope you enjoyed this and can use the free stickers that I have made. I really liked how these turned out, so if you have a need for a sticker that I did not add, leave it in the comments! I will be making more and of course sharing them with you! Don’t Forget to download my free stickers! Check out Meghan’s Post here! Oh yeah….AND we are giving away an Erin Condren Planner!!! Enter below and check out all the fabulous link ups! I love your stickers! I really need a meal plan calendar like that too. Craft day soon???? How do I enter for a chance to win a planner? Jennifer, click on the boxes at the bottom and follow whichever social media that is listed and you will be entered! Your stickers are adorable!! Also... so jealous of your kitchen!! Awe thanks Jennifer! So sweet! Love, love, love the stickers. You and Meghan are filling my sticker folder these days! Your planner looks great. When I get back the Family Calendar is going to be the first project on my list. Thanks for such great ideas. I love your paint chip calendar. The colors are so soothing. I also love your freebie stickers and the linked stickers. I am new to decorating my planner-- trying it this year.